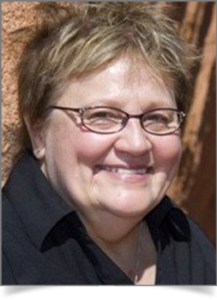 Marcia Ford specializes in editing and developing books for the Christian market. A former managing editor of Christian Retailing, Charisma, and Ministries Today magazines and contributor to Publisher’s Weekly’s religion coverage, she is well-versed in the Christian publishing industry, and for several years served as Gale Publications’ Christian fiction expert. She knows the kind of books Christian publishers are looking for today and understands the dramatic change the industry has undergone in recent years—and continues to undergo. Marcia is also an author, which means she knows how it feels to be the one whose work is being edited. All 30 books she’s written have been traditionally published and professionally edited; she knows from experience that every writer needs an editor, even if the writer is also a lifelong editor herself. Marcia’s career began in 1973 at Asbury Park Press in New Jersey, and over the next 11 years she worked in nearly every department, which gave her a wealth of knowledge about business, education, entertainment, lifestyles, local issues, and hard news. But it was her job as religion editor that remained constant during her tenure at the paper, which coincided with the rise of feminism, gay rights, the Evangelical Right, the social justice movement, the spread of Buddhism, Hinduism, and New Age groups, and other issues that had a significant impact on religion in America. Marcia made the transition to magazine editing in 1994, and she continued to contribute news stories to various media outlets. She soon began editing books as a freelancer, which in 1998 led to a publisher request that she write her own book, and that launched her career as an author. She has also edited several hundred novels and nonfiction books, having lost count in the early 1990s.